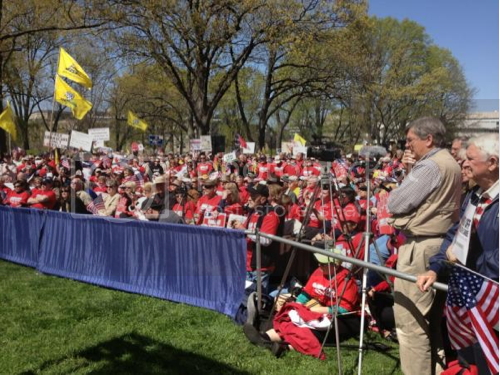 Thousands of conservative activists from the Group Americans for Prosperity and around the country gathered across the street from the Supreme Court today in Washington D.C. just moments after day two of ObamaCare oral arguments wrapped up. Speakers throughout the event made it clear the “healthcare” fight isn’t about healthcare at all, but about freedom versus government control. Photos courtesy of Katy Abram. 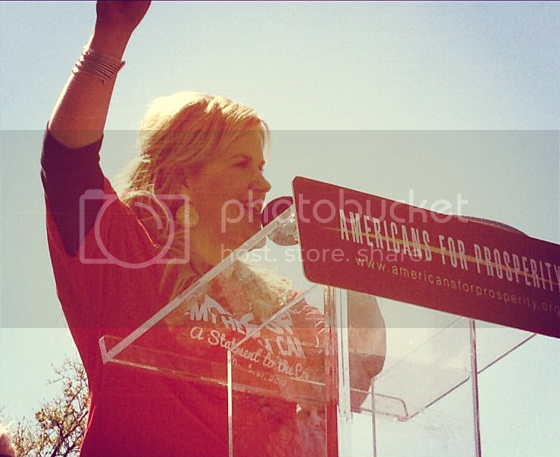 “This isn’t about healthcare, it’s about freedom." “The Supreme Court needs to make the right decision." “Don’t believe for one minute we can fix ObamaCare." “Hang in there, we’re going to beat this bill." “Hands off my family, hands off my work and hands off my healthcare, or as we say in Philadelphia, yo President Obama don’t tread on this mama." “Anywhere in the world when you're in trouble, medically speaking, where do you come? You come right here. Why do you come, because we have the best choices." “This American liberty is a precious thing, it doesn’t exist anywhere else in the world."